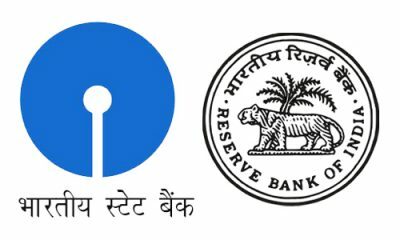 Indian youth have created a great interest in RBI & SBI over Facebook and Microsoft as per a recent job survey. Raghuram Rajan’s Reserve Bank of India (RBI) and Arundhati Bhattacharya’s State Bank of India (SBI) created great employment pursuits among Indian youth. Universum’s 2016 Most Attractive Employers ranking based on student talent in India ranked the Rajan-led RBI as the third most-preferred employer after Google and Apple and over Facebook, Microsoft and BMW. The survey conducted with 29,448 students from 157 universities across India has highlighted shifting preferences of the youth as well as the perception of government organisations like the RBI and SBI. The notion that government jobs usually offer a boring work- environment characterised by inefficiency is slowly becoming a thing of the past. Top PSUs run by efficient and outcome-driven leaders such as Raghuram Rajan of RBI and Arundhati Bhattacharya of SBI has strengthened the image of PSUs in the mind of the youth. As a result today’s youth are seeking out jobs in PSUs over American tech giants such as Facebook and Microsoft. State Bank of India (SBI) is an Indian multinational, public sector banking and financial services company. It is a government owned corporation with its headquarters in Mumbai, Maharashtra. It has more than 14,000 branches, including 191 foreign offices spread across 36 countries, making it the largest banking and financial services company in India by assets. State Bank of India is a banking behemoth and has 20% market share in deposits and loans among Indian commercial banks. SBI provides a range of banking products through its network of branches in India and overseas, including products aimed at non-resident Indians (NRI). SBI has 14 regional hubs and 57 Zonal Offices that are located at important cities throughout India. Arundhati Bhattacharya became the first woman to be appointed Chairperson of the bank. The Reserve Bank of India (RBI) is India’s central banking institution, which controls the monetary policy of the Indian Rupee. The RBI plays an important part in the Development Strategy of the Government of India and it is a member bank of the Asian clearing union. The general superintendence and direction of the RBI is entrusted with the 21-member Central Board of Directors. The Government of India appoints the directors for a 4-year term. The bank is headed by the Governor and the post is currently held by economist Raghuram Rajan. The fact that an organisation such as RBI is preferred over American tech giants showed the shift in perception. Having leaders such as Raghuram Rajan (RBI) and Arundhati Bhattacharya (SBI) also helps who are seeing as efficient and driven leaders carrying their organisation towards better ways thus most of the Indian youth prefer to work with RBI & SBI.